Almond Joy Got Nuts, Mounds Don't...Twinsies! Brayson and Bevyn- 8 months old. 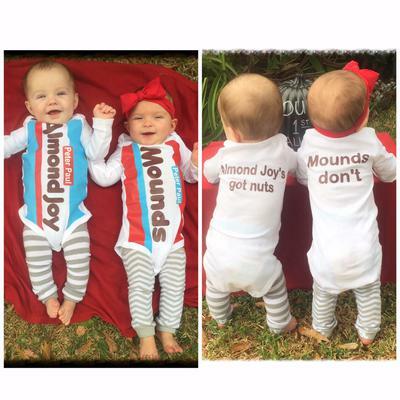 TwoCute™ Twins Halloween Costume Photo Contest – October 2015 WINNER! 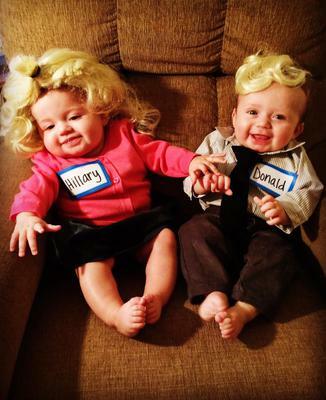 Here are our 4-month-old fraternal twin girls, Claire and Olivia dressed as some presidential hopefuls. Happy Halloween from the Calls! 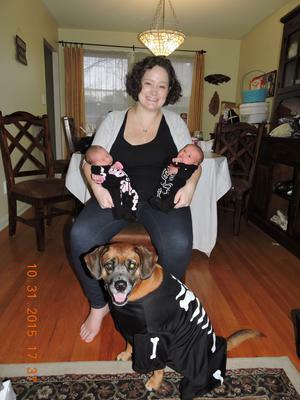 Attached is a picture of our 15 day old twins, Eleanor Quinn Call on left and Richard James Call Jr on right with their proud mother, Julie Call and our 5 year old puppy Delilah joining in on the Halloween fun.